Powerpoint Engineering are the recognised industry experts in Ireland in providing Thermal Imaging Surveys / Infrared Thermographic Surveys. Since 2004, we have been delivering professional and independent surveys and advice to building professionals, energy consultants and engineers. So whenever you suspect a problem with the structure of your building or with electrical or mechanical equipment at your facility, contact us & we can assess the problem using Thermal Imaging without the need for invasive & costly testing. Using the latest thermal imaging technology, our highly qualified technicians can uncover the source of your issue and then help you determine the best way to solve it. Thermal imaging is the process of using infrared to locate problems with electrical and mechanical machinery and building systems. Infrared is able to pick up abnormal thermal performance, so that problems that are difficult to diagnose through routine inspections can be pinpointed. 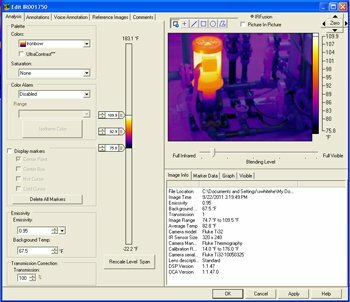 Unlike other diagnostic technologies, thermal imaging is completely non-invasive, making it much less expensive than other types of troubleshooting techniques. Plus, thermal imaging does not require lengthy shutdowns for inspections due to the speed at which diagnostics can be performed. Powerpoint Engineering brings more than a decade of experience in thermal imaging surveys, having been performing these services for companies since 2004. We have become a leader in this specialised area having helped companies across Ireland in a range of industries discover the root causes of issues. 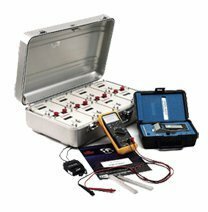 Our thermographers are all certified and have qualifications up to Level 2, giving them expertise in how to properly diagnose problems. We use the latest equipment to gain insight and analyse images. We are available to provide thermal imaging surveys anywhere in Ireland. 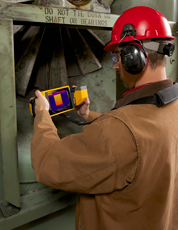 We perform both building thermal imaging surveys and electrical and mechanical predictive maintenance thermal imaging surveys. To learn more about our Thermal Imaging Surveys, or to arrange a booking please contact us. Not exaclty what you are looking for? Contact us we’re happy to help.